National Junior Tennis & Learning of Trenton, Inc. (NJTLT) will host its first annual 5k Race at Cadwalader Park. This event benefits the many programs offered by NJTL. This includes the expansion of our programs, physical infrastructure and geographic reach. In Trenton, we will expand our mentoring programs and increase scholarship opportunities, deepening our partnership with the Christina Seix Academy through a new indoor tennis facility and investing in a headquarters that will serve as a hub for indoor programs and a community learning center. We will also increase the use of the renovated Cadwalader Park tennis facility and complete the redevelopment of the Villa Park tennis facility. Moving beyond Trenton, we plan to start providing our programs and services in Newark and then to youth in need in other parts of New Jersey. National Junior Tennis & Learning of Trenton, Inc. (NJTLT), affiliated with the United States Tennis Association (USTA), is a nonprofit community organization dedicated to improving the lives of youths with programs based on the ideals of tennis legend Arthur Ashe. It is part of the USTA/National Junior Tennis & Learning, a nationwide group of more than 650 nonprofit youth development organizations that provide tennis, education and life-skills programming to some 300,000 children annually. The national organization was founded in 1969. 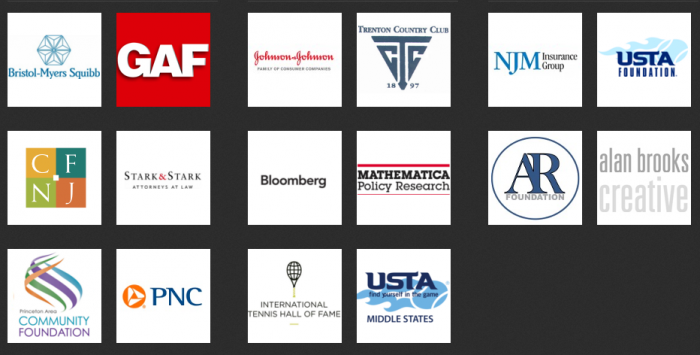 NJTLT, established in 1975 as the National Junior Tennis League of Trenton, has grown rapidly in recent years and today ranks as one of the most effective and innovative chapters in the country. It has been honored repeatedly at the national, regional and local levels and twice named the USTA’s national “NJTL Chapter of the Year.” NJTLT has been showcased by CBS Sports and the USTA on national television and at the US Open. A Fox News affiliate provided coverage of the NJTLT’s popular summer program and the USTA honored the Junior Champions Tennis Center at Cadwalader Park in Trenton, project spearheaded by NJTLT, as one of the nation’s outstanding public facilities. Today, NJTLT serves more than 2,500 young people in the greater Trenton area for free; there are no program fees for individuals. An alarming number of the participants are at-risk. In a struggling economy, the city of Trenton and its public schools have eliminated numerous after-school and summer programs due to budget constraints. NJTLT’s programs have never been more essential and in greater demand.